And in This Corner: Conservators in Private Practice vs. Institutional Conservators? It has been 22 years since the Conservators in Private Practice Speciality Group (CIPP) was formed in an unscheduled meeting in Washington DC. According to Susan Barger, “The goals of this group were to provide support for conservators in private practice, to cultivate respect among conservators who worked in different settings, and to encourage wider participation in the AIC.” (2) Forming an new specialty group within AIC was no easy task, and the founders of CIPP displayed remarkable pluck and courage by encouraging the larger AIC board of directors to recognize the special needs of private practitioners. CIPP members initiated the AIC referral system and are responsible for many inventions in the field. From the beginning, however, there were tensions between those who worked for institutions and those in private practice. For a while, there was a two tiered membership in CIPP, with “Real” CIPP allowed voting rights and “Occasional” CIPP (coined COPP, Conservators Occasionally in Private Practice) allowed to be nonvoting members. The following definition of a CIPP was adopted: “A conservator in private practice is an individual whose only employment in the profession of the conservation of artistic and historic works is as a proprietor or employee of a private, independent, conservation service or facility, and who is not a staff employee of any non­profit institution. CIPP Bylaws 1987.” (3) This important distinction performed a valuable function by preventing conflicts of interest from the staff of institutions and regional centers in developing the agenda of CIPP. Things, however, have changed in past 22 years. The membership of CIPP has hovered around 400 for most of its existence; current estimates rank the number of actual private practice conservators at 1,700. The job market, which once held to a fairly stark line between institutional and private practice, now offers a number of positions that blur the boundaries, and these positions seem to be becoming more prevalent, due to Cultural institutions adopting a corporate business model, rather than a philanthropic one. Now, for example, there are “project conservators” who work regularly for an institution for 10 years or more without benefits, underpaid institutional staff moonlighting evenings and weekends to make ends meet, labs who’s administrative workload has overwhelmed the staff so that they must hire those in private practice to do treatments, conservators who leave the institution to raise children while working freelance, large non and for profit conservation centers who don’t consider themselves to be in private practice, institutional conservators who have to work on non institutional work to raise money, and many, many other types of arrangements. Job situations have become much temporal and fluid in the past 20 years. Conservators move back and forth between private practice and institutional jobs several times in their career. Concentrating on differences has not allowed the mission of CIPP to flourish. Things need to change in the next 22 years. What was once necessary to demarcate the differences between those working in an institution and privately is becoming an impediment towards professional respect and exchange of knowledge. What was once healthy adolescent individuation is in danger of becoming resentful coveting. Some CIPP members envision a fairy tale scenario about the ease of the life of an institutional conservator, and resent the institutional authority conferred on those in positions of power, since we have to create reputations for our business and ourselves. Exaggerated rumors of this anger and resentment dissuade younger conservators from joining CIPP. Rather than spending our time looking inward (which is also a grave danger for AIC as a whole) we need to look for ways our particular interests and skill sets can interact with the whole of conservation. Conservators in institutions need conservators in private practice— for special projects, referrals, expertise outside of their specialty, etc. And conservators in private practice need institutional conservators—for referrals, access to expensive equipment, research, etc. The relationship is becoming more symbiotic, not antagonistic. The skill sets inside and outside institutions are remarkably similar. Running a business, working within time and cost constraints, performing treatments, managing projects, supervising and training staff, documentation and analysis are similar in both contexts. At least in the book conservation field, if cost cutting and redirecting of funding towards digitization continues the majority of conservators could soon be in private practice. 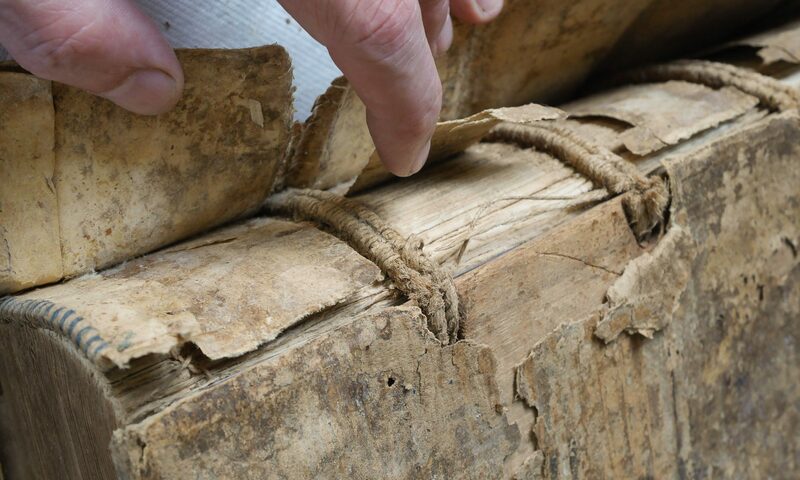 Ultimately the goal of all conservators is the same: advancing the body of knowledge that allows us to provide the best possible preservation for the cultural property entrusted to our care. 1. Barger et al. “CIPPing Champagne” AIC Newsletter, Lead Article, January 2007. As a conservator who has worked at a regional center and who is about to start her own private practice, I can really relate to this article. There is definitely some tension in my current job between institutional and CIPPS. I don’t know if it is partly due to the competitive nature of the regional center, or if it goes beyond this. Unfortunately I was not able to attend the Denver meeting, but I recently joined CIPP as did my colleague who brought this blog to my attention (and I think we are counted as “younger” conservators, so don’t give up on us yet!). Previous PostPrevious An Unusual 18th C. French Headband Press?